Let’s face it… there are probably almost as many reasons for learning how to start a blog as there are people who want to start them. I started my first blog some ten plus years ago, and I’ve had more than a few websites since that time, but nothing comparing to the one I have here and now. In those days, it wasn’t even widely called blogging, and in my case at least, it was only my sisters (and occasionally my mom) who were reading my blog on the regular. Fast forward to today where I’m holding a conversation with several thousand people from around the world, and doing all I can to keep up with blog traffic and Pinterest! It’s kind of like I’m standing in a room having these various conversations, and as the discussions continue, the room expands and the crowd inside just gets bigger and bigger. Sometimes it can be a little intimidating. At times we may question what we really have to offer to the world conversation and wonder whether we can really contribute anything of value. I hope I do. And I believe you do. We’ll just have to wait and see what happens. So if you’re interested in becoming a blogger and learning how to start a blog, I encourage you to stick around for a few minutes and I’ll help you to do just that. Before the day’s out, you too can join the ranks of the world’s bloggers. From personal diaries and shared family experiences, to diy, craft and fashion enthusiasts, cooks, lifestyle bloggers, personal and professional services providers, consultants, work-from-home-moms and the like, bloggers have so many reasons to record and share information, ideas and experiences. And especially for women, blogging provides an amazingly creative outlet from which to share. Blogging provides women an opportunity to interact with other women regardless of geography, to build relationships and to also provide support to each other through shared personal experiences. But since you’re reading this, we can safely assume that you’ve moved past the “to start a new blog or not to start a new blog” phase, and you’ve entered the “how do I do this” phase. How to start a blog. That’s what this blog post is about. Today we’re helping you to setup your own WordPress blog on Siteground, the web host we recommend. As a new blogger, customer support is extremely important. You can come across a few different issues with which you may need expert help, so fantastic customer/technical support that can easily answer your questions or provide other needed assistance is invaluable. And with Siteground, you can actually talk to someone on the phone (relatively quickly) or by live chat in real time, not wait for hours (or days) for someone to respond to a support ticket. Something I didn’t realize until years after I first came online (because I’m decidedly not a technical person) is that a significant factor in your website’s speed of performance is its hosting company. SiteGround has a been getting a phenomenal response from bloggers for its amazing runtime. Hopefully, you may never know the importance of having your website or blog backed up daily. But over the years and on several occasions, I’ve had websites disappear or crash or experience some other completely catastrophic event. When something like that happens, it’s not enough to have a backup f your website that’s a week old or worse, not have a backup at all. Having the security of knowing your site is backed up daily, especially when you’re creating something brand new is a great comfort. Even though helping you with WordPress issues is not their responsibility, SiteGround’s technical support reps are kind enough to assist you with minor WordPress issues. This can be a big help when you’re new to blogging and new to working with WordPress. Siteground’s products and services are extremely affordable (small business friendly) and allow you to start small and grow into additional products and services you need as you go. With hosting plans as cheap as $3.95 per month, getting started is easy and soft on your pocketbook. If you already have a blog or website set up with another host, you can transfer your site to Siteground’s hosting for free. If your not tech-savvy, that’s a great perk! You know that your site will be transferred and set up correctly from the very beginning. While blogging itself is not easy (in fact it’s a great deal of work), setting up a blog is much easier than it used to be, and probably much easier than you may think. And it’s only become more so with the increased popularity of the WordPress blog platform. You no longer have a need to be tech-savvy to start a blog. Setting up a blog is not rocket science. Moreover, starting a blog is relatively CHEAP. You can get free WordPress themes (we will get to what WordPress is later in this guide) and hosting that only costs a few dollars a month. By the end of this tutorial, you will be able to successfully setup your own blog within a relatively short period of time (if you are doing it right, it’ll take a few hours) and without the assistance of a tech professional. 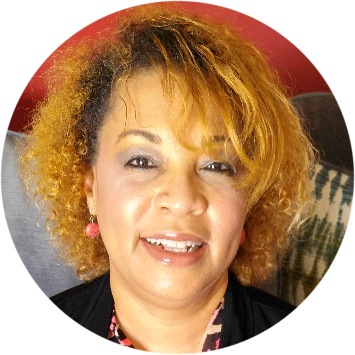 Question #1 – Why are you starting this blog? The reasoning behind why you want to blog is especially significant/important. Everything you do in the coming hours, days, weeks, months and even years in your endeavors to start, develop and grow your blog are directly tied to why you’re doing this. Is this a means of sharing information with friends and family, a creative outlet, a journal documenting a period of personal development and life change, a way to connect with other, like-minded individuals or to earn extra income or to start your own business? How you answer this question will significantly inform your activities as you start your blog. Answer this question honestly, thoughtfully and specifically so that you are clear in your own mind about your reason for blogging and (if need be) you can effectively communicate that to others. Question #2 – What will you blog about? Deciding what to blog about depends on any number of things, and much of the time will closely relate to your answer to Question #1. If you’re blogging only for your own enjoyment or to share with family and friends, you only have to consider your interests relative to your blog content. But if you’re blogging to connect with a public audience and/or you hope to engage with your audience for business purposes, your chosen blog topic will depend on several things, most importantly the interests of the audience you wish to attract. in addition to your level of knowledge, skills and abilities relative to your chosen topic for your blog. Question #3 – Who is your audeince? 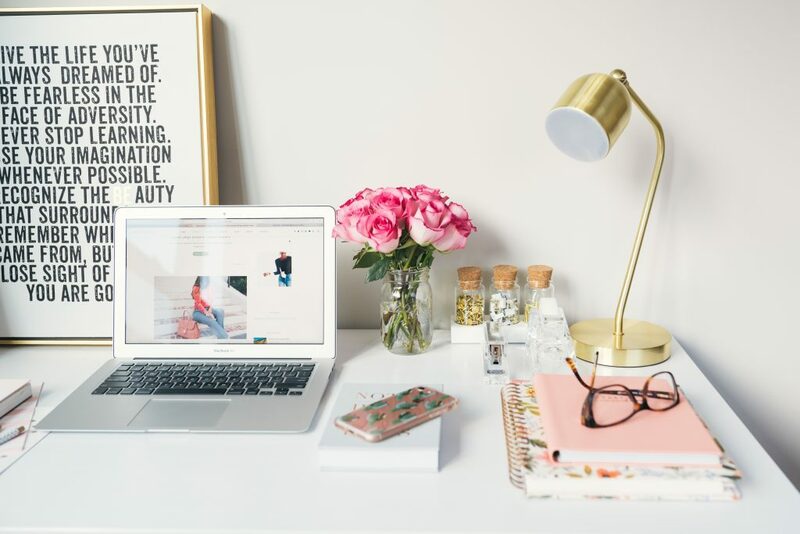 Determining your audience is an extremely important step in the process of starting a blog especially if you intend to earn a side income, or build a brand or business from your blog. If you’re starting a blog for any other reason than your own personal enjoyment and pleasure, and you want your blog to be successful, then you’ll want to attract a readership. That means that while you may enjoy what you write about, your writing has to be focused on content that your readers want to consume; what they want to read about. And in order to produce content (and/or products and services) they want, you have to know and understand exactly who they are; their interests, their concerns, their problems, their issues. Does she have a career? Does she have a family? What is she interested in? What are her friends like? What issues does she have? What challenges does she face? Not only will this information allow you to better serve your audience, but it will help you as well. If you know your audience, then you should be able to identify a range of subjects they are interested (or would have interest) in. That gives you a variety of choices when you’re developing content. Bottom line, take the time and make the effort to carefully and specifically identify your target audience. Write it down and keep it for future reference. Use it often. So now, if you’re still with me and you’re game, let’s get your blog started! Hosting is the first thing that you need to get started. If you don’t know what a hosting company has to do with your blog, think of it as a landlord who will be giving you a space on their server where your blog will “live” in exchange for a marginal fee. You can start a blog using blogger platforms like WordPress.com and Blogger if you are going to stick with personal journals on your blog. But if it means more than that to you, like if you want to turn it into a business, you’ll want to consider getting a self-hosted blog that will provide you better optimization and control of your content. Moreover, if you don’t have a self-hosted blog, your readers will tend to view your blog as a hobby, not as a “serious” blogger. Getting your own hosting is a tiny investment with a massive payoff in terms of perceived authority and credibility. Presuming you are new to blogging, hosting is the single-most important element of how well your blog will exist on the web. For this tutorial, we have chosen SiteGround hosting because it’s affordable, reliable and easy-to-setup; so it’s perfect for beginner bloggers. If you don’t have the right hosting, your website will most likely have technical problems, your web service may be unreliable, your website could crash, and it may take longer to load and may even fail to load when your reader is in the middle of reading a post. 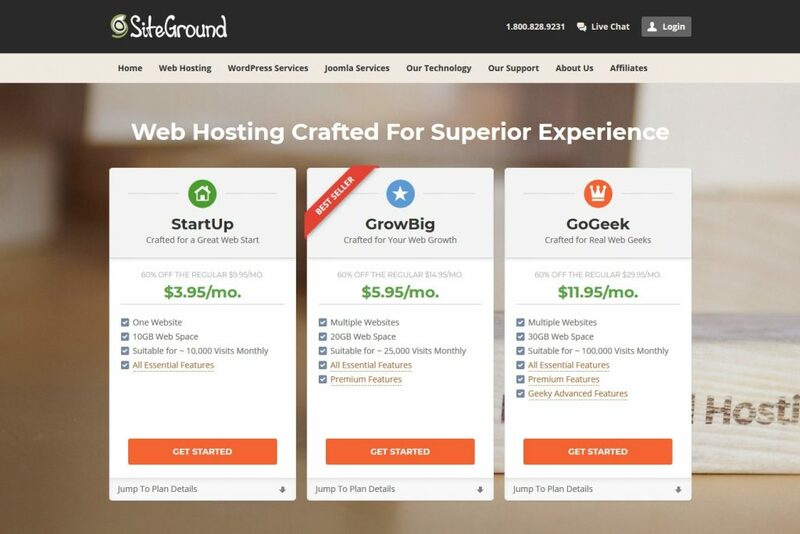 SiteGround has three different hosting plans. We are going to highlight the key features of all three, you can then choose the one which suits your blogging needs (and your budget) best. The Startup Plan: If you have just one website to start, this is the perfect basic plan for you. This plan gets you one website, 10GB of web space, allows for approximately 10,000 visits monthly, offers a free website builder plus additional features. The GrowBig Plan: If you want to set up multiple blogs or want a super-fast load time for your blog, this plan offers both. With 20GB web space, it’s suitable for approximately 25,000 visits monthly. The SuperCacher features that come with this plan will improve the WordPress speed. The GoGeek Plan: Unless you are planning to turn your blog into an e-commerce outlet, you won’t need The GoGeek Plan as it’s made for larger sites that need more extensive/geeky developments like GIT integration and staging. It offers more hosting space at 30GB, and allows for much heavier website visitation of up to 100,000 monthly visits. Your best bet is to start with the basic plan and if you want to upscale, you can get more space or upgrade to a better plan. Till then, there is no need for overpaying. This is important. The domain name that you are going to register for your blog will tell others what your blog is all about. So take some time to decide on the blog name that truly represents what you are planning to do with your blog or the message you want to communicate to your audience or market. When you set up your website using SiteGround, you can choose to register your domain with them. It’s a quick and easy process as a part of setting up your web hosting account. Once you have decided on your hosting plan and a domain name, it’s time to provide your information that will help you sign up with SiteGround. At this point, you have to select your plan type, its duration and any extra services that you may find essential. 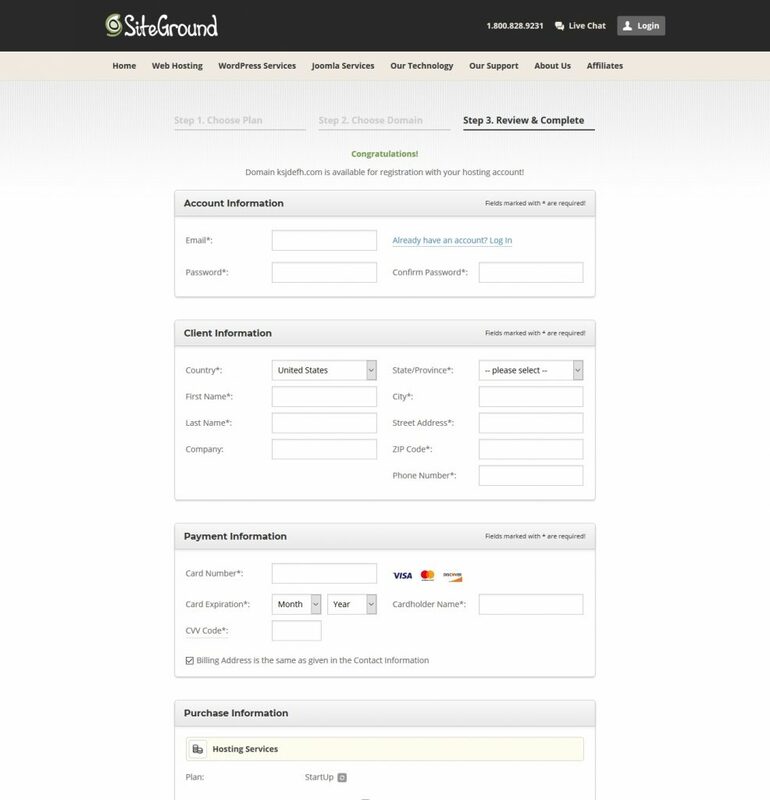 These options provided by SiteGround aren’t available usually with other hosting companies. The best part is that you pay the same effective per-month price for the 12, 24 and 36-month packages. By comparison, what some other companies do is to entice you into a one-year subscription at a low fee, and then raise their prices substantially in the following years. There are also domain extras. Additionally, you can get SG Domain Scanner (which monitors your domain against hacking) and Domain Privacy (which keeps your sensitive/personal information related to your domain private). Domain Privacy is essential if you don’t want others to view your personal information like phone number or address when they search for your domain information. With SG Domain Scanner, you can know if your website’s security has been breached by the hackers. After you have successfully completed the registration and paid, you can then start using your domain name and web hosting. Now you just need to set up WordPress on your site. Once you are done with the registration, SiteGround will take you to another prompt where you will set up and install your WordPress blog. This step is relatively fast with SiteGround as they will guide you step-by-step through the entire process. If you have no idea at all about how to install a WordPress blog, no worries! SiteGround walks you quickly and easily through the process. To begin, select the “Start a new website” tab and click on “Proceed”. From there, you will be taken to another screen where you will describe your “preferences” for the type of blog that you will be setting up. Here, you will select “WordPress”. At this point, you will need to create account credentials for your WordPress blog. 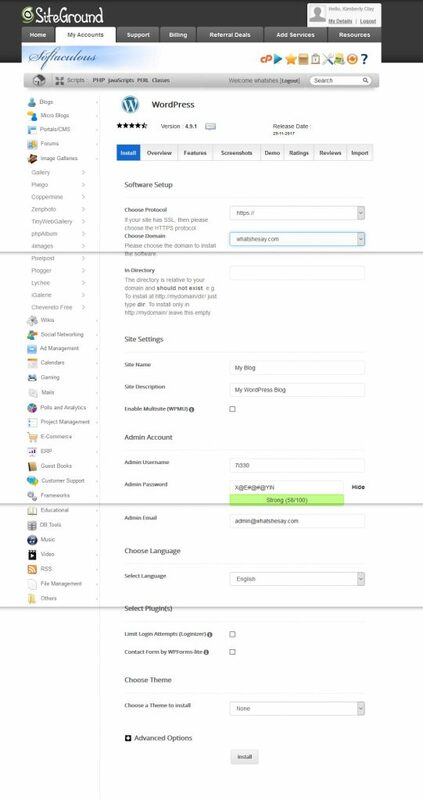 SiteGround Account Setup Wizard will install WordPress on your server before moving to this page where you will need to enter your log-in information. Keep a password that isn’t too easy, because a weak username and password gives hackers easy access to your blog. At this point, SiteGround will give you an option to choose a free website design template. You can browse through millions of WordPress themes options and if you know categorically how you want your blog to look, this won’t be an issue. You can also go for a premium/paid version of your design template to better customize your website. Once you are done with everything aforementioned, you will then need to go to “My Accounts” on SiteGround and select “Go to cPanel”. From there, click on the “WordPress Installer” icon that you will find under the “WordPress Installer” tab. On the next screen, you will be required to fill in a few fields. Below we have provided everything that you would need to complete the process. Choose Protocol: Your site’s internet protocol is a set of rules that determines how the data is sent and received over the internet from one computer to another. This would most likely be http://. Choose Domain: This is where you select your domain name using the dropdown menu. In Directory: This isn’t a compulsory field, so you can keep it empty. Site Description: The description of your website will help the search engine to know exactly what your site is all about. Enter a description that explains what your blog is all about. You can change this information later too. Admin Username: This is admin username. This will be required when you are going to access the backend of your blog. Don’t forget this, or at least don’t forget the email that you will provide upon registration (see below). Admin Password: This is the password to your admin username. You will also need this along with the admin username. Remember this too! Admin Email: This is where you provide your email address. You can’t forget this even if you don’t remember your username or password because this email address is the only way for the WordPress support to help you recover your account credentials, in case you lose them. Select Language: English (or any other preference that you may have for your blog). Choose a theme: You can either install a theme at this point or you can go to the admin panel (backend) of your website. If you can’t decide on the theme right away, you can take some time out to find an awesome theme which you can install later. You can start with a free theme and then follow up with a paid one. Use the admin username and password provided in the preceding step to sign into your site. At this point, your WordPress is installed on your host. So basically, you have the site (host) and the apartment (WordPress), so you are all set to start your own blog. Most of newbie bloggers would be wondering what to do now, here are a few top things that you need to do after installing the WordPress theme on your site. Many WordPress users install more than one theme on their site before finally deciding on one. Themes that aren’t being used will keep asking for more updates, so you will be left with the unnecessary need of updating them. And if you aren’t updating your website theme, it could provide a way for the hackers to enter into your site. So delete unused themes ASAP! There are a lot of things that you can do to improve the speed of your site. But the foremost thing is install a cache plugin. This is going to make your website a lot faster. 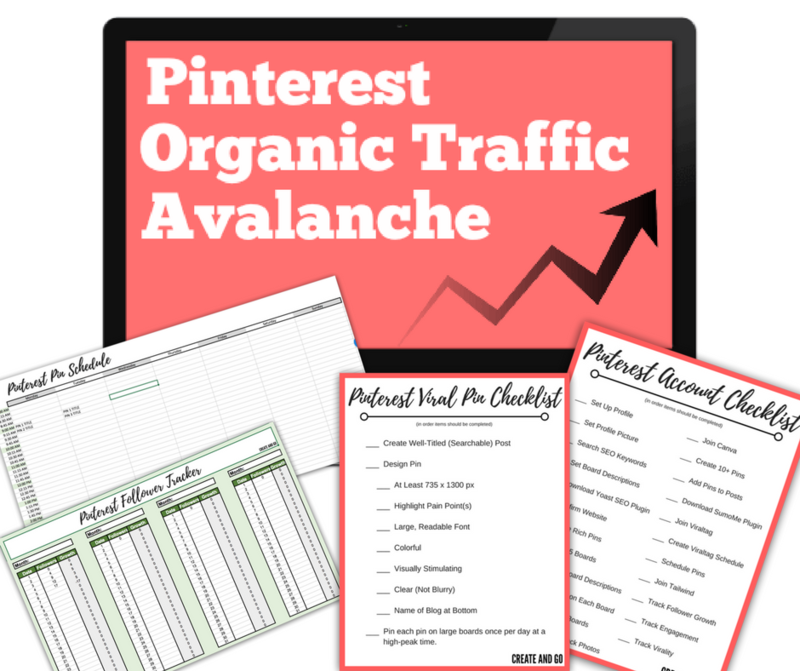 It’s great from an SEO perspective and also decreases the chances of your website crashing. You would really don’t want hackers to get into your site, wipe out everything and leave you with where you started off years back. To prevent that from happening, you will need to install a backup plugin. Also, consider using a security plugin [like Sucuri]. You would also want to configure the reading settings on your site. With this, you can have separate homepages for your blog posts and services. For this, go to the “Reading” option from the “Settings” area of your dashboard and select if you want to use a static homepage or the one that will show your latest blog posts. If you don’t know what to do about it, don’t feel pressured as you can change these settings anytime later. If you don’t have an anti-spam plugin installed on your website, you won’t be able to deal with spam-y comments being posted regularly on your site. This gets really irritating and is also bad for your site’s SEO. You can use Akismet as it does the job pretty well. If you have been told that SEO is an essential element of surviving your blog on the web, it’s true! But you don’t have to be a pro to get a better search engine presence. Using a plugin like Yoast will provide you everything that you will need to optimize your site. Social sharing buttons are very important as it tells other users about the popularity of your blog post. There are hundreds of sharing buttons plugins to choose from, make sure you are going with the one that looks great with your WordPress theme and won’t slow the speed down site speed. Keep scheduling backup if you don’t want to lose anything. So that ends our tutorial. 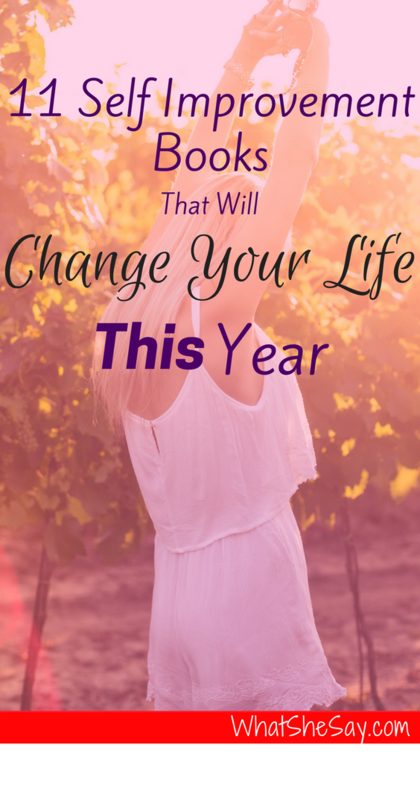 You’ve now got your blog set up and ready to go! As a new blogger, fantastic customer and technical support is the cherry on the top. Your website’s speed is very dependent on its hosting company and SiteGround has a great reputation for its amazing runtime.